If you live in the vicinity of Schiphol, you can now ask us any questions you have by WhatsApp between April 8-11. For example, you could ask us about our next Neighbour’s Day, why flight changes were made on a particular day, or how we decide which runways to use at any one time. 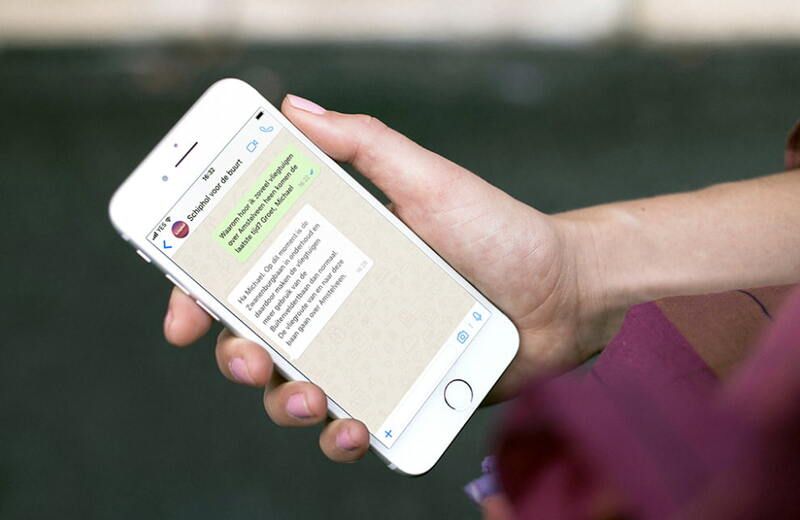 Simply send a WhatsApp message to +31 61 277 8991. What does this WhatsApp number mean for people in the area? You will receive an answer as soon as possible, usually within 1 hour between 09:00-21:00. Your telephone number will be deleted after no more than 7 days. Questions and answers on the survey will be kept anonymous. Please also refer to our privacy statement. We are currently testing what Schiphol residents think of WhatsApp as a means of contact. That is why you can only ask questions by WhatsApp between 25-29 March for the time being.